Couple really wanted to have a sunset photo but unfortunately it ended up raining on their special day. 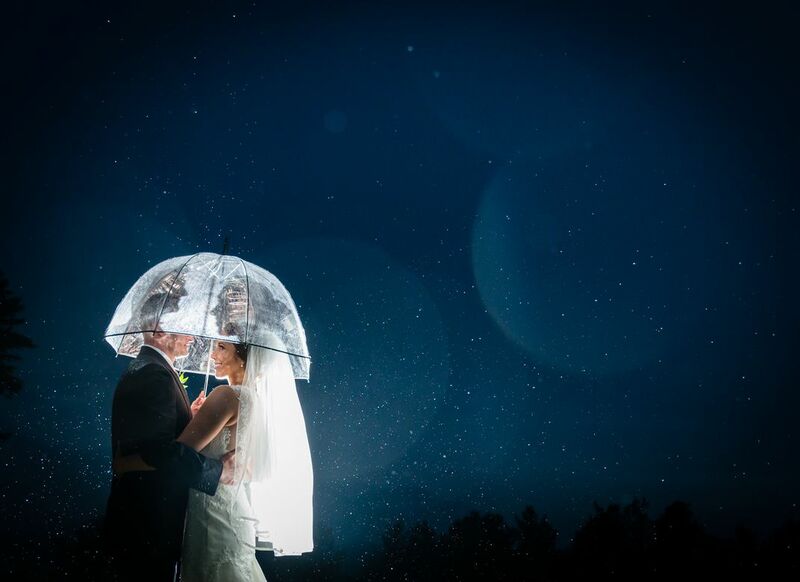 The couple didn't mind getting wet and we had an amazing opportunity to make this great image. I think they might like it more than any conventional sunset photo. Date Uploaded: Oct. 22, 2015, 10:39 a.m.